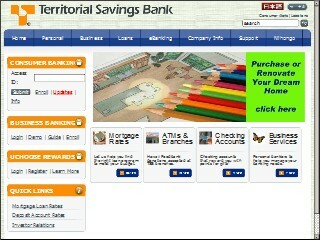 Description: Territorial Savings & Loan is a business categorized under banks, which is part of the larger category national commercial banks. Territorial Savings & Loan is located at the address Hawai'i Pacific University, 1132 Bishop Street #22, Honolulu, HI 96813 in Honolulu, Hawaii 96813-2807. The CEO is Allan Kitagawa who can be contacted at (808)946-1400.